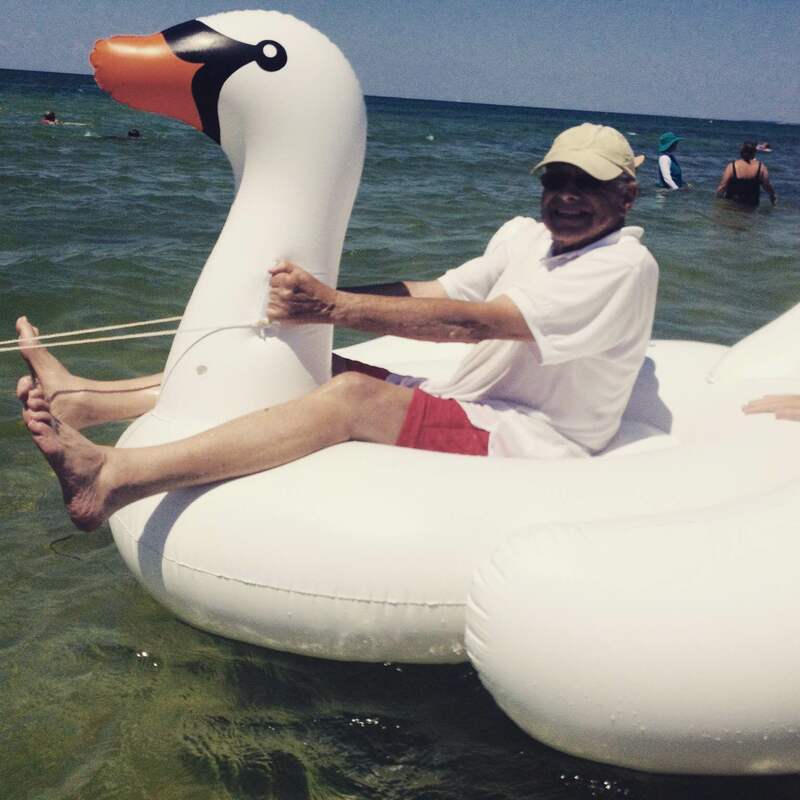 My 82 year old grandfather – Opa – saw a family with this floating swan in the distance. “I want to ride that swan,” Opa said. I laughed it off, but then we got closer and closer to the swan. “I really want to ride on that,” Opa said again, without any fear of embarrassment. Finally, Opa waded up to the swan, politely asked the family if he could jump on, and he did. There’s a life lesson in there, a tenacious attitude that’s admirable. When you want to ride a floating swan, you do it.